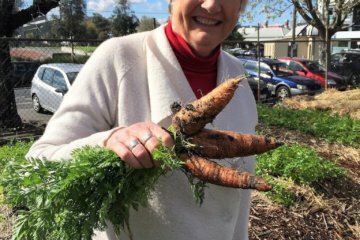 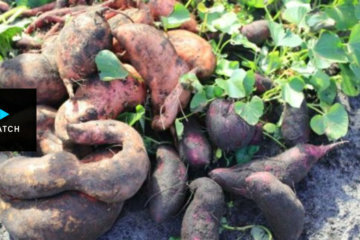 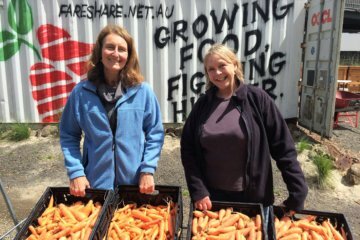 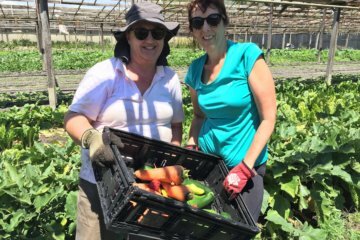 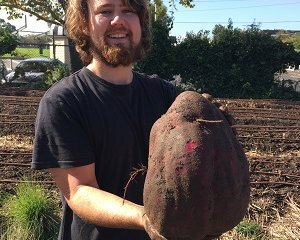 FareShare’s first sweet potato harvest has highlighted the possibilities of growing the tuber in Melbourne. 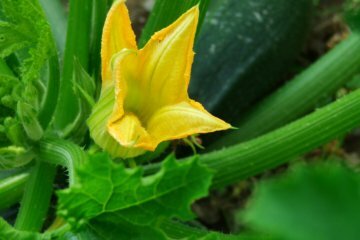 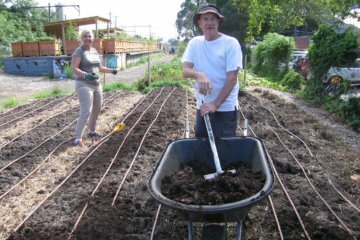 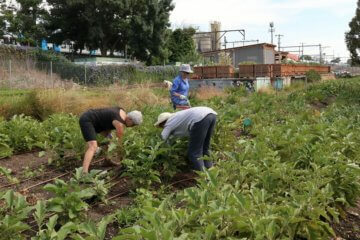 Our trial planting supported by partners Dr Chris Williams, Carlton Neighbourhood Learning Centre and kitchen garden partner Les Baguley was featured on ABC Landline this month. 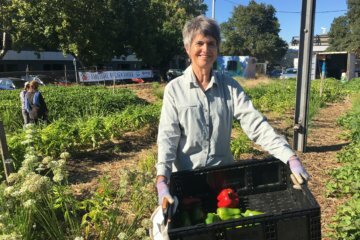 Watch the 17-minute segment broadcast on July 2.